Forwell not only manufacturers leading quick die change and quick mold change systems but also a wide range of additional products including die clamps, hydraulic pumps, and AV control valves. Pioneers in the manufacturing industry understand how quick die and mold changing can drastically increase a factory’s productivity and therefore very often employ quick die or mold change systems. They also realize that utilizing hydraulic pumps that can generate the appropriate amount of pressure is vital to ensure safety and maintain a high production capacity. 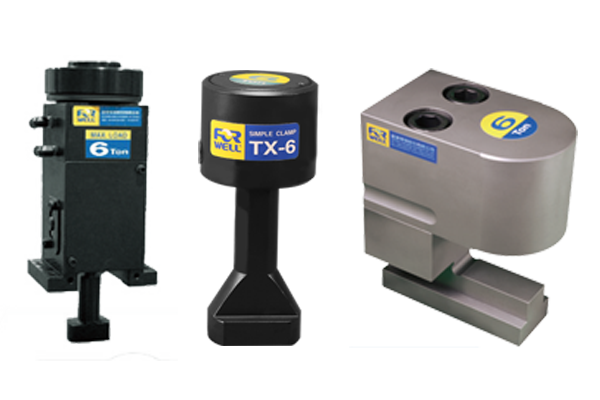 We offer hydraulic pumps in a wide range of weights, capacities, and for use with up to four circuits. 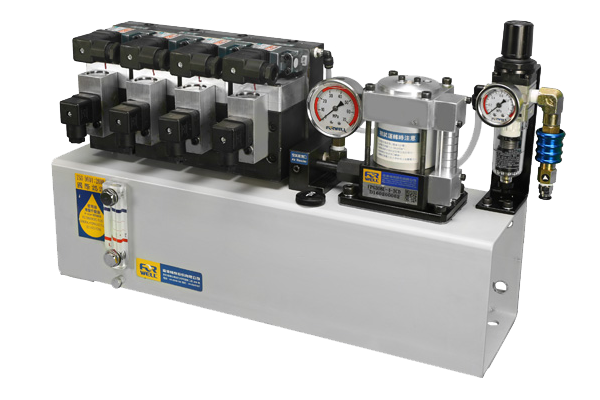 These hydraulic pumps can be used in conjunction with customized systems to offer rapid die and mold changes for different types of press machines and injection molding machines. With our decades of experience, meticulous manufacturing processes, and strict quality control procedures we can be sure to deliver the highest quality systems to our customers. For any company operating press machines or injection molding machines, they are sure to benefit from our superb high quality equipment, like our quick die change clamps and hydraulic pumps. All Forwell Quick Mold Change Systems use high quality Die Clamps for very secure clamping, quick mold changing and safer operations. 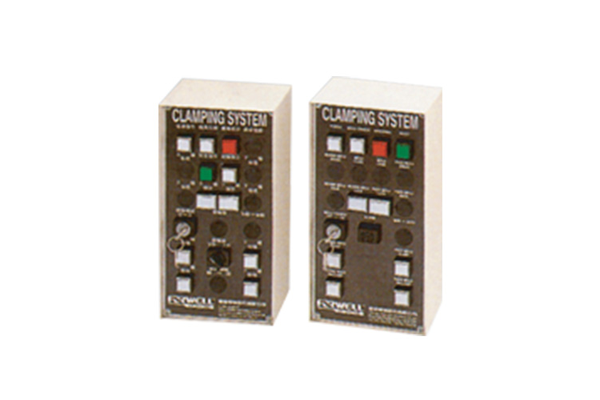 These clamps can fasten Molds whether they are changed vertically or horizontally. 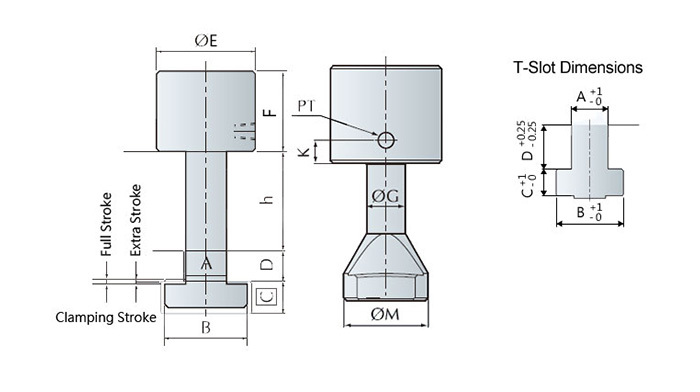 There are also a range of different Die Clamps available to suit your injection molding or mold casting requirements. The TY type Die Clamps are machined to fit into the T-slot of the bolster for extra secure positioning. 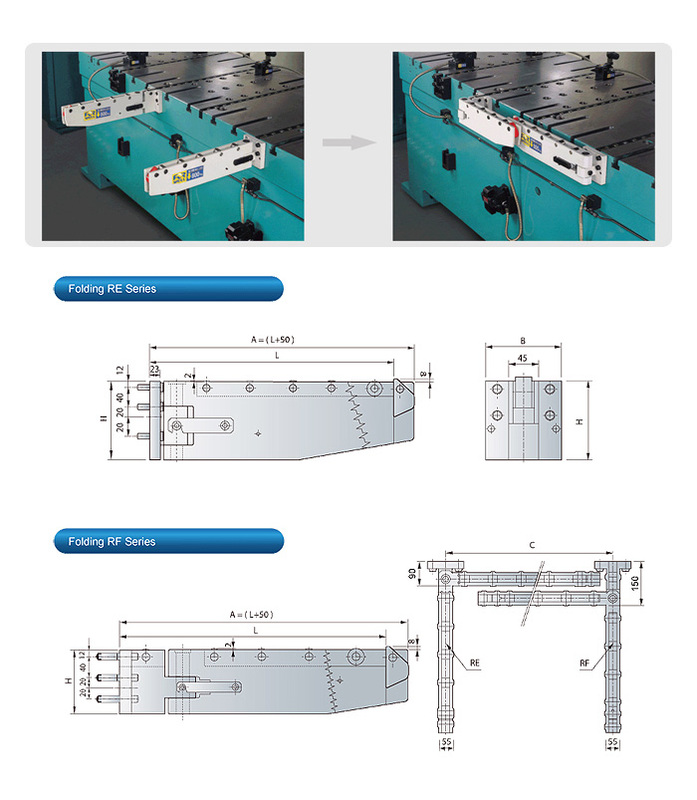 The flange-mount model Die Clamps can be bolted onto the bolster and the automatic slider model Die Clamps makes remote automatic operation possible. Bolster extensions or Die Arms make it very easy and simple to pull out or push a die in. 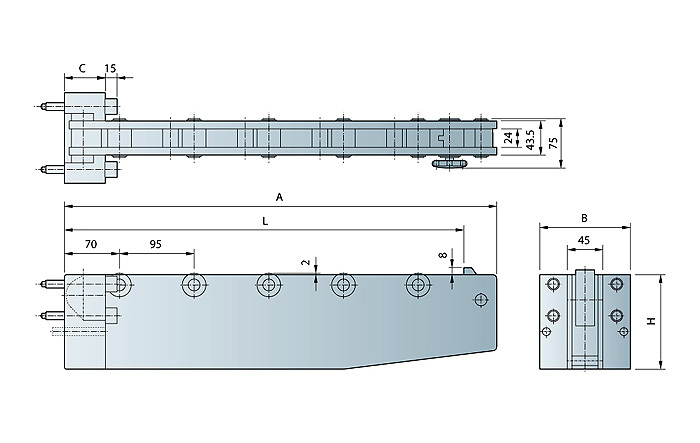 It also allows for a forklift or crane to remove and load dies easily. Die stoppers at the end of each Die Arm will prevent the die from rolling off but at the same time provide easy die loading onto the bolster extensions. The Die Arms are equipped with hardened rollers to allow for a long service life and accurate die loading. The Die Arms can be selected according to carrying capacity, and are available in three different types: RC detachable type, RD drop-down type and RE/RF folding type. 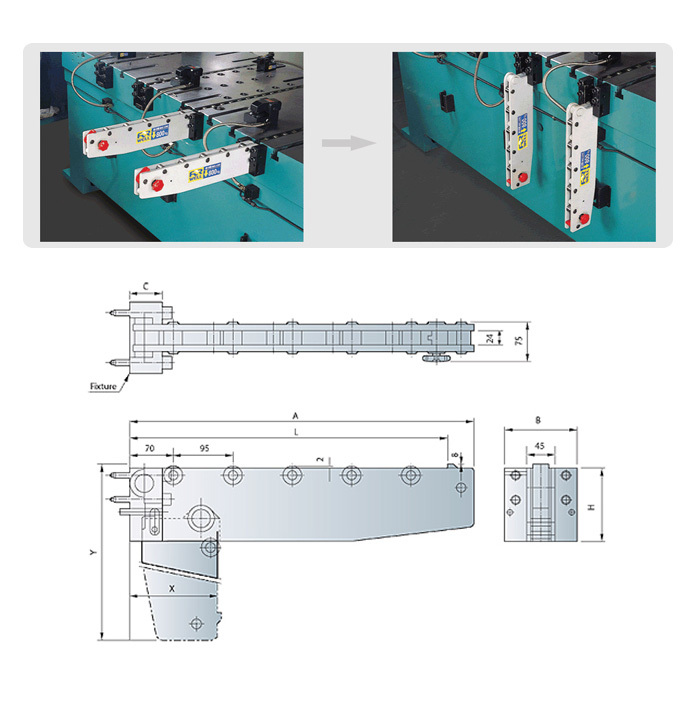 The bolster extension makes it easy to move the dies to an accessible area of the press for convenient die changing with a crane or forklift truck. Available in three different designs: detachable RC series, drop-down RD series(alternate model), and folding RE/RF series. Requires adjustable support if die travels over 1000mm. These models come standard with adjustable support. Contact us for other specifications. The easy to use control panel offers a simple interface to monitor and control operations of the Quick Mold Change System. The upper half of the screen displays automatic functions while the lower half can be used for operator-controlled functions. This makes this machine easy to control yet still have the functionality needed of a Quick Mold Change System. The hydraulic pump ensures tight and stable die clamping and allows the system to maintain clamping pressure on the mold even when there is a power failure or air pressure drops. 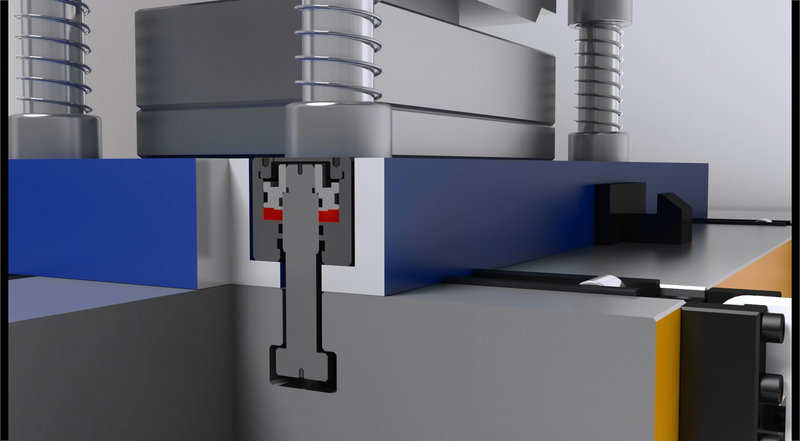 The PCB Fine Piercing System uses air-driven hydraulic pumps resulting in very high clamping pressures, high energy efficiency and convenient automated operations. 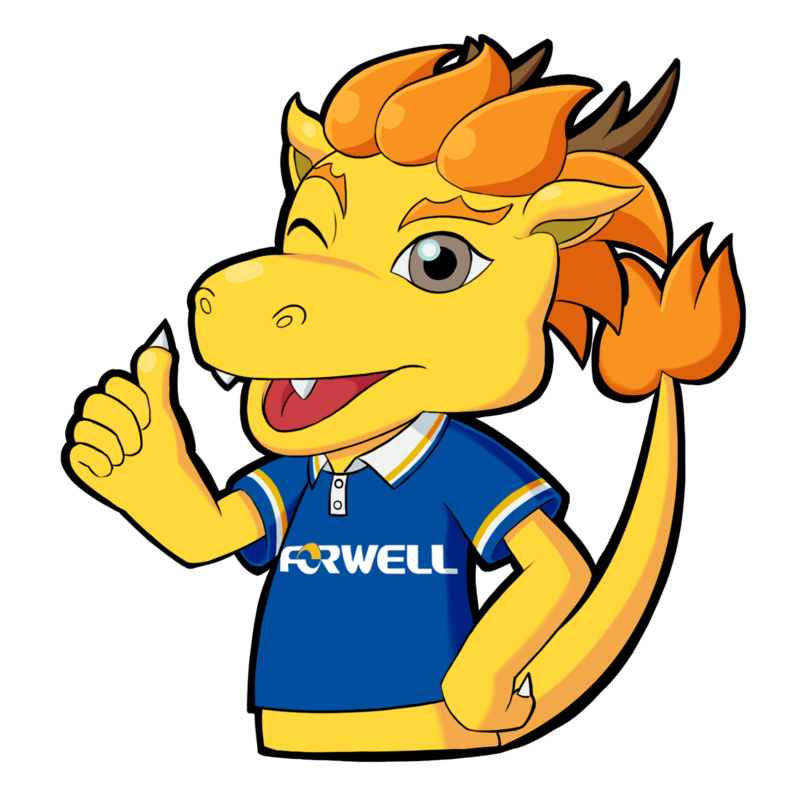 Forwell’s hydraulic pump units also feature an easy to adjust air pressure valve to effectively control the systems air pressure. 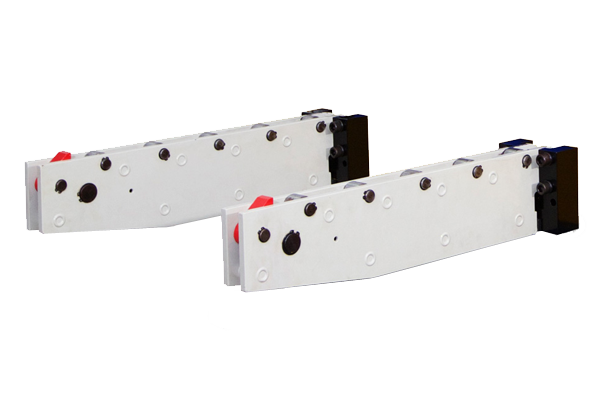 These Spring-Loaded Die Lifters easily slide into different sized T or U-slots on the bolster by adding spacers to the side walls of the Die Lifters. 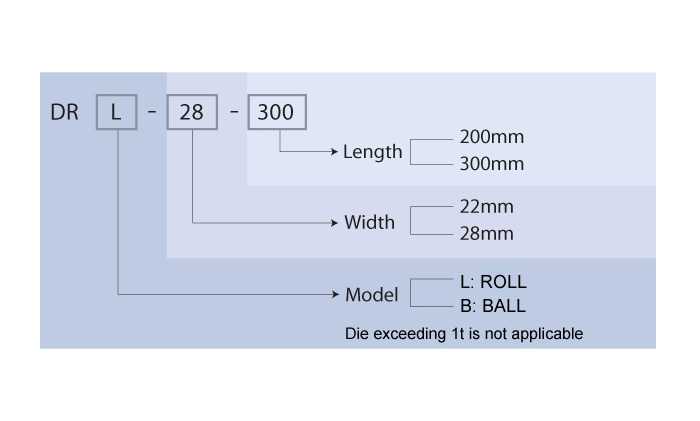 This allows for accurate and easy die positioning as well as quick and easy die removal. 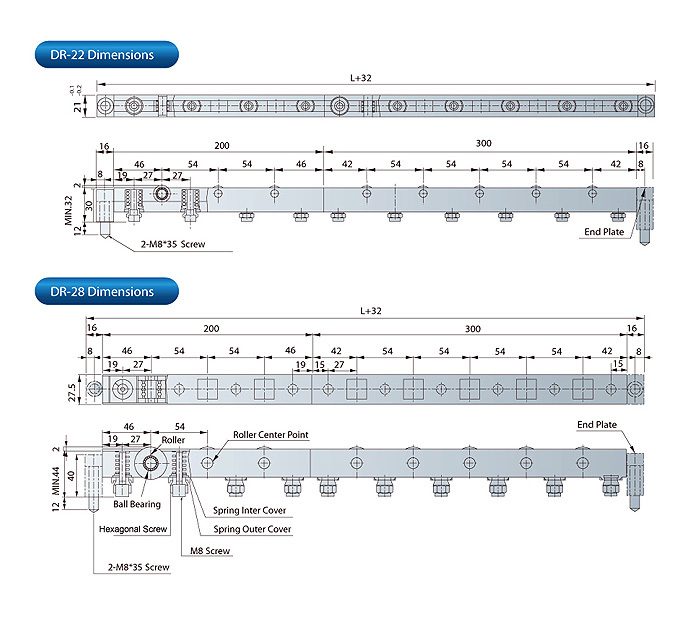 The DR Series Die Lifters are available in customizable lengths in increments of 100mm, and are available as either a ball type lifter or roller type lifter. 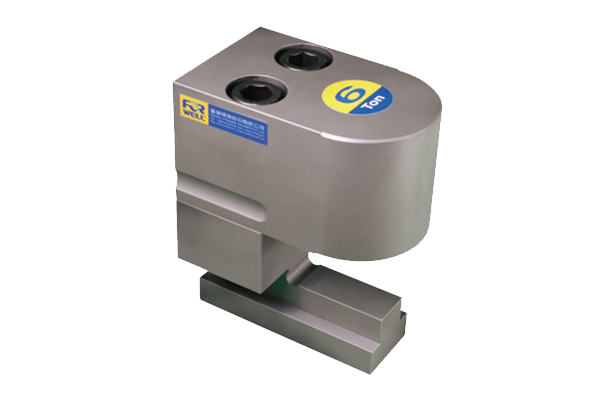 This compact, space saving, piston type clamp requires U-slots on the die shoe. The clamp leg is machined to fit the T-slot on the bolster. 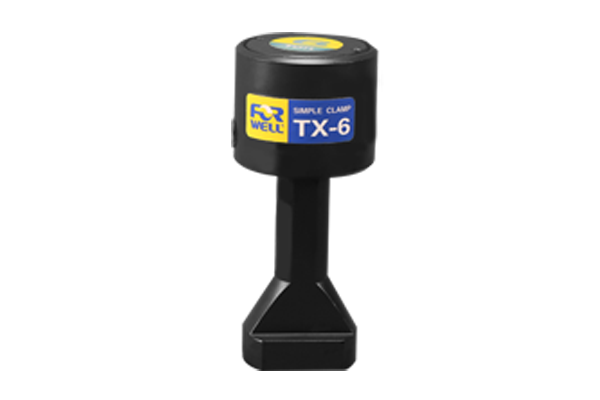 With the TX Die Clamp automatic slide model remote control is made possible. 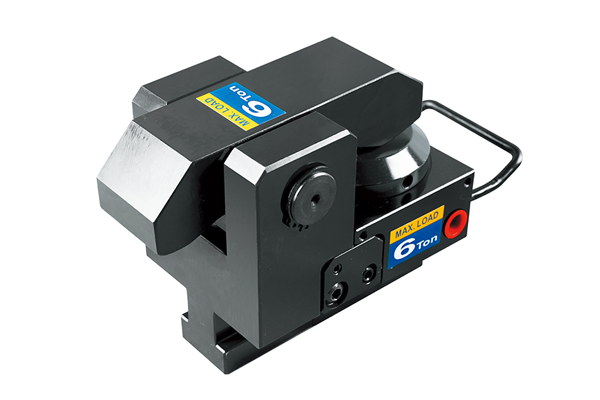 As this lever-type clamp does not require a U-slot on the die shoe it can be used in a wide range of applications. The TY type Die Clamps are machined to fit into the T-slot of the bolster for extra secure positioning. 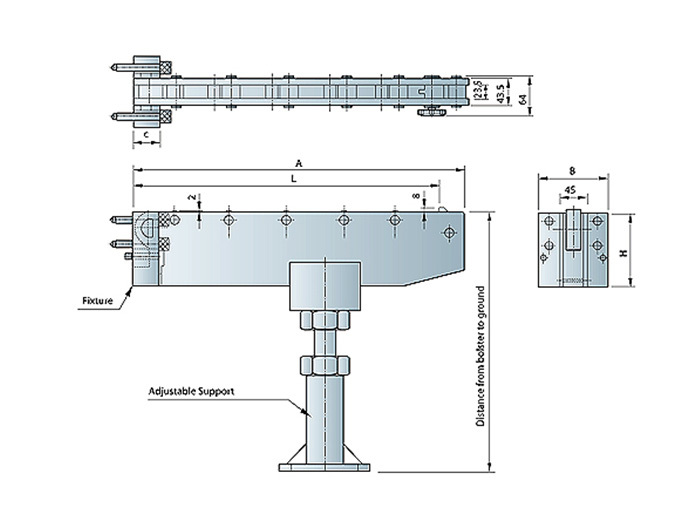 The flange-mount model Die Clamps can be bolted onto the bolster and the automatic slider model Die Clamps makes remote automatic operation possible. 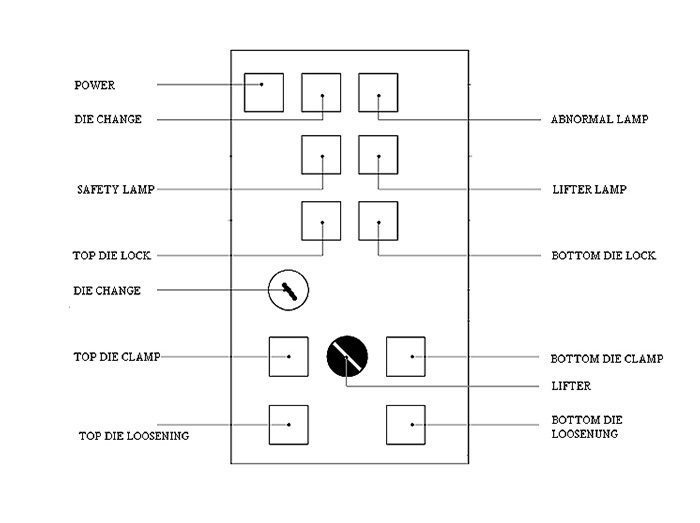 The following specifications can help you choose the appropriate clamp type in accordance with your injection molding requirements and production situation. Make sure of your production plans and production procedure before choosing your product to be sure of the product that best suits your needs. 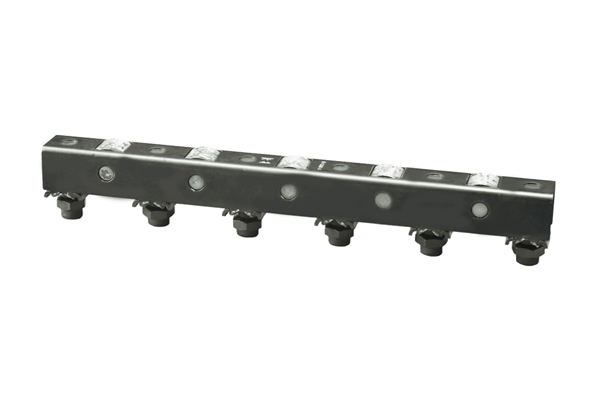 Horizontally Fixed Clamp Install roller or sliding rail upon the plate. Use cart or mold exchange table for easy operation and the shortest possible mold changing time.